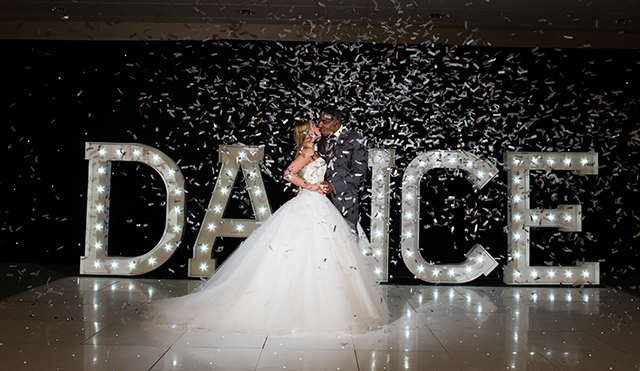 Our Light Up DANCE letters are the perfect backdrop to your wedding or function. 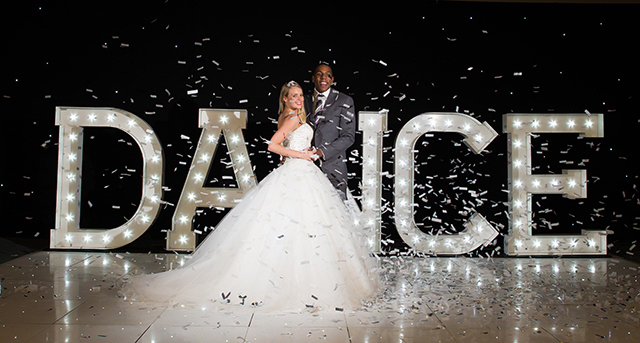 Our big DANCE letters not only look amazing, but who can refuse the call to the dance floor? 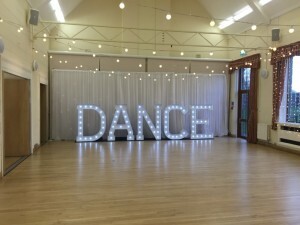 Our Light Up DANCE Letters are available to hire for weddings, proms, birthdays and corporate events. 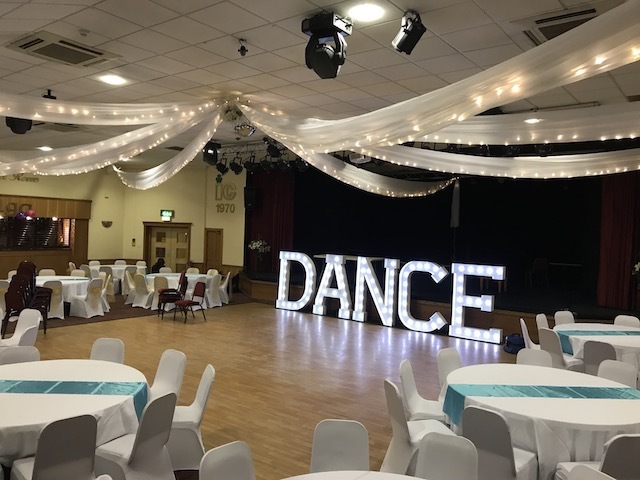 Light Up Letters are highly desirable at the moment and it’s not hard to see why as they create a spectacular and personal illuminated focal point for your wedding reception, corporate event or birthday party. 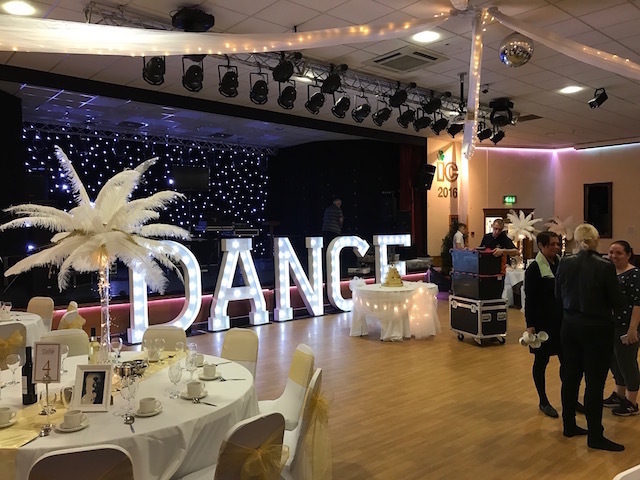 We personally L.O.V.E our giant Light Up Letters as they emanate an illuminated WOW factor that will give you and your guests umpteen fantastic photo opportunities. 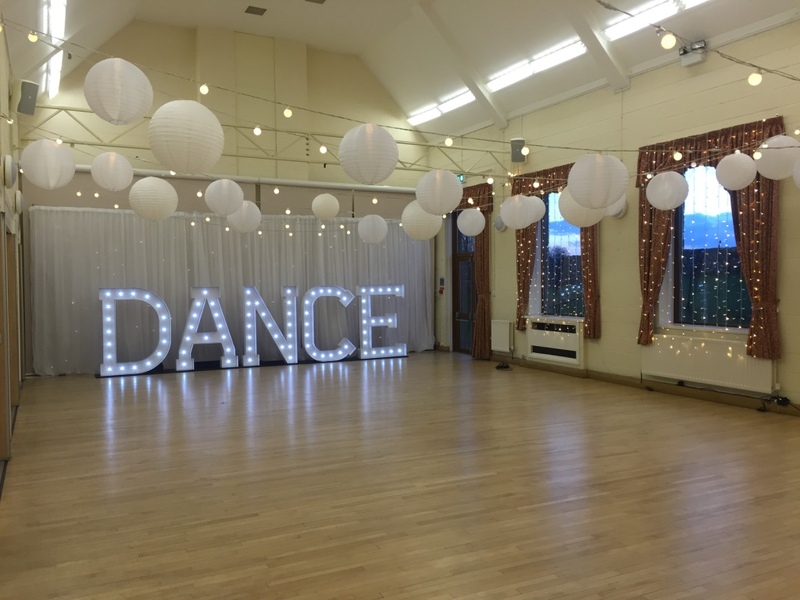 Whether they are placed next to your dance floor, at your venue entrance as a welcome to your guests or even outside, glowing as the sun sets, Light Up Letters will add that extra glamour and enchantment. 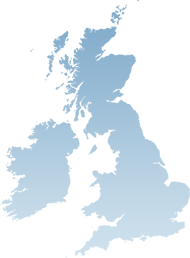 They also provide your guests with great photo opportunities being 5 ft tall. 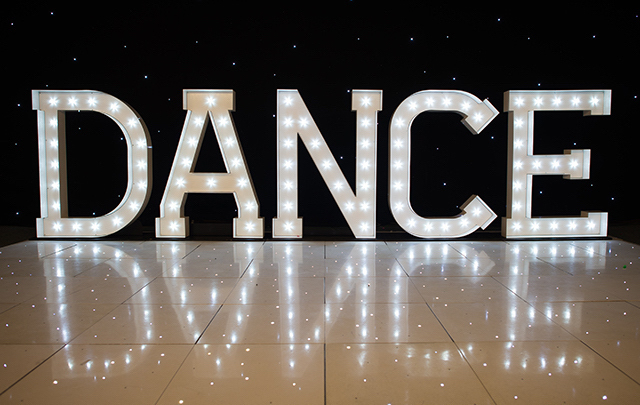 The eye catching illuminated DANCE letters can be used as a backdrop to your dance floor for your evening reception. Our DANCE letters use a traditional fairground bulb, this gives a diffused effect looks good both during the day and night. Standing at 5 ft Tall (1.50 Meters) Our Giant DANCE letters make a real showcase at your wedding. 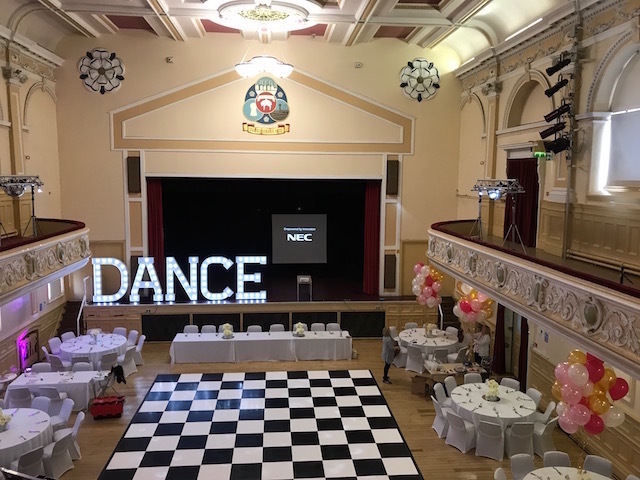 The DANCE letters are suitable for use indoor, however they are not waterproof so cannot be used outside if it is raining.